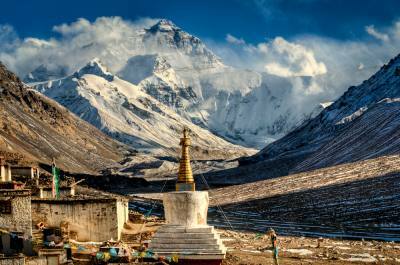 Motorbike Tour to Everest Base Camp Tibet is 11 days perfect itinerary starting and ending at Kathmandu Nepal. Itinerary including day of arrival and departure as well as visa preparation days in Kathmandu with trip preparation. It is memorial adventure tour of experience the landscape of Tibetan high plateau, thousand years old monasteries and off course panoramic mountain views. Motorbike ride from Kathmandu to Kerung, Tingri, Shegar, Ronbuk and reach at Everest Base Camp 5,200 miters. Tibet Kailash Travel arranges a complete Motorbike Tour package including all the formalities of travel permit, visa, self-drive permit and immigration deposit for your bikes. 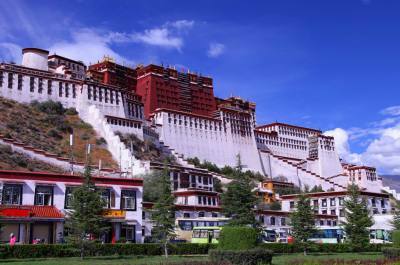 You also have option to include Tibet Motorbike Tour with Lhasa, Shigatse and Gyantse via Yamdrok Lake. Another destinations towards western Tibet Mt Kailash and Lake Mansarovar is also the optional customize motor biking tour. Join our group motorbike tour to get reasonable cost. The best season of this tour is from April to November. We do look after every documentation work need in this tour. Simply send your passport scan copy, copy of license at your booking time. Original passport, one set of visa picture and fill an embassy form at your arrival day. We provide you facility of hiring motorbike in Kathmandu Nepal with us or bring your own bike is also as option. A representative from Tibet Kailash Travel pick up from international airport and transfer to the hotel. We will collect your original passport, Visa picture and fill a Chinese Embassy form to get final Tibet travelling visa. You original passport will kept for 3 days for this purpose. You can choose any tours inside Kathmandu valley or out of the valley. Day of visa preparation. We look after arrangement of visa application. You are free to choose any tours inside Kathmandu valley or outside of the valley. Kathmandu is rich in Heritage and cultural tours. Biking tour around the valley can be also the good option. You can be more familiar with your bike. Your accommodation on twin sharing is including in the cost. The same way back to Kerung today. 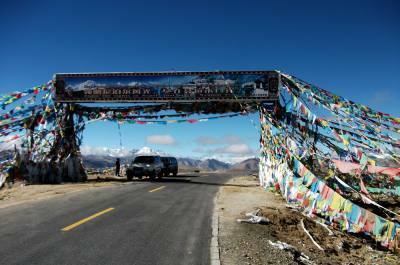 Well paved road with scenic views of Lakes, Mountain, Land and local Tibetan settlement. we also can enter at the village and explore loal house, their lifestyle from near. Overnight at guest houses. Ride down to the Nepal Tibet immigration. Say good bye to Tibetan driver and Guide. After immigration formalities, ride again to Kathmandu Nepal through same way. Day of final departure. Representative from Tibet Kailash Travel drop you to International airport for your final departure. Accommodation in 3 star hotels on twin sharing in Kathmandu. Normal guest houses in Tibet part on twin sahring. We do provide Motorbike for this tour. Tour also have option to bring your own bike if you want and if it is possible for you. Hiring cost USD 75 per day for Honda CFR, USD 55 for Royal Enfield 550cc and Himalayan Royal Enfield 411cc USD 45 per day. There are hospital facilities in Kathmandu. But not in remote area of Tibet Like Ronbuk, Everest Base Camp and other caming days after Gyantse.